Is Now the Time to Buy Housing Stocks? 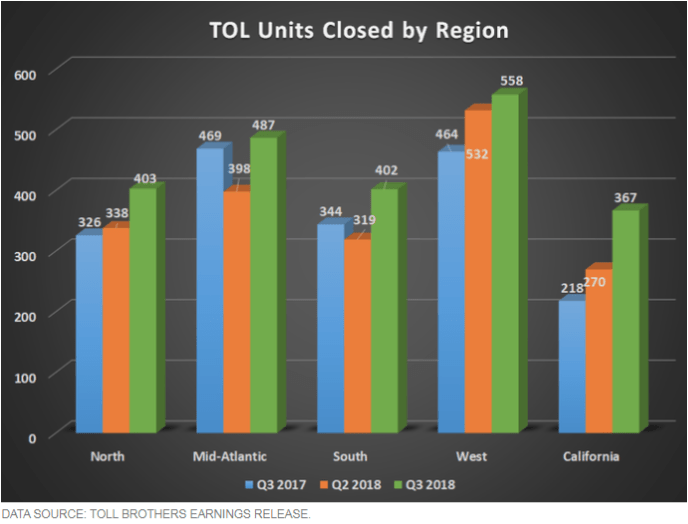 I’ve been patiently waiting to add Toll Brothers (TOL), which is my favorite name in the housing sector and I think the moment has arrived. Toll stock got hammered by as much as 10% on Tuesday morning before sharply recovering. The stock has been in a steady decline losing some 38% so far this year. But now, I think following the reaction to its earnings report on Tuesday, the set may be building a base and setting up a good risk/reward entry point. 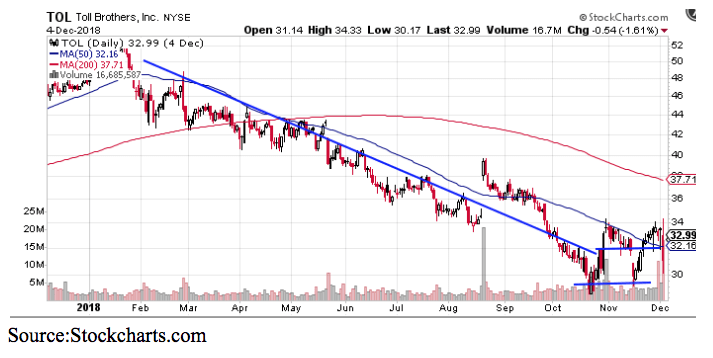 You can see on the chart shares held a double at the $30 level and by bouncing back towards $33 have broken the long-term downtrend. 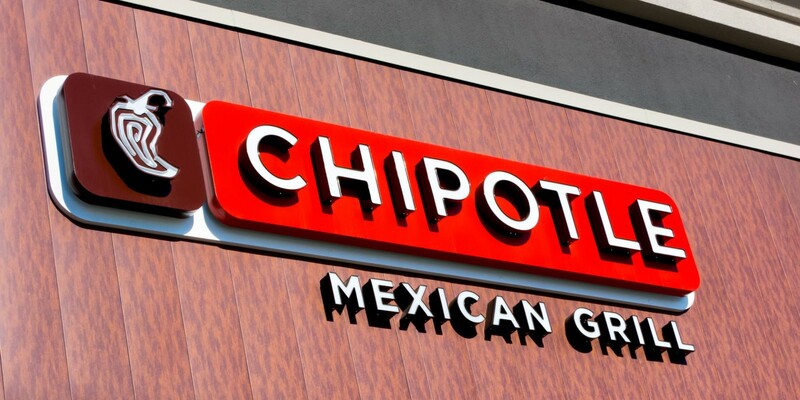 What was interesting to see on Tuesday was that the stock initially dropped 10%, following the earnings report. But by midday, it actually turned positive before settling fractionally lower. That is the type of price action suggestive of a washout that occurs when a bottom is being formed. Toll beat earnings estimates but lowered its forecast due to weak demand in November, reflecting a declining demand followed by further softening in November. The biggest decline being in California. During fiscal fourth-quarter, net signed contract value of homes sold 15% from a year ago — to $1.50B. The number of contract units of 1,715 was a decline of 13%. This being the first year-over-year declines since 2012. This is sharp contrasts from just a month ago when Conner told analysts that Toll has better visibility than its peers — thanks to a longer backlog and its high price point homes. This quarter, the average sale price was $850,000, with luxury buyers who are less sensitive to an incremental increase in interest rates being targeted.